Plumbing problems aren’t restricted to occurring just inside your home. Occasionally you will experience problems with your outdoor plumbing, such as a leaky faucet or a broken sewer line. A professional plumbing company that offers outdoor plumbing services can provide the assistance you need to fix any problems you encounter. Homeowners or business owners who are experiencing outdoor plumbing problems in the Tarrant County area can call HEB Plumbing & Sprinkler-Kathlyn Smith. We are a locally owned company based out of Bedford, TX who has over 35 years of experience handling outdoor plumbing problems. Outdoor pipes and plumbing are extremely susceptible to clogs and blockages. Leaves, roots, and dirt can all get inside the pipes and plumbing and create a blockage that is nearly impossible to fix on your own. The professional plumbers at HEB Plumbing & Sprinkler can help keep your outdoor pipes and plumbing clean of blockages or clogs. 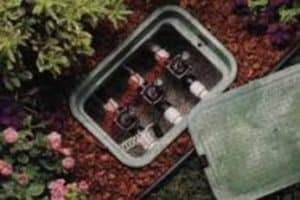 Using our outdoor plumbing services, homeowners will be able to get their outdoor plumbing back into proper working order by making sure all clogs and blockages are removed. When called out for an appointment, our professional plumbers will take the time to properly inspect the pipes and plumbing for blockages and clogs. Once the problem is identified, we will take steps to rectify the problem, which will include removing the blockage/clog or in extreme cases completely replacing the pipe. Homeowners want to know that the plumber they use has the experience needed to handle their outdoor plumbing problem. When you choose to use HEB Plumbing & Sprinkler, you know you are getting an experienced plumber. 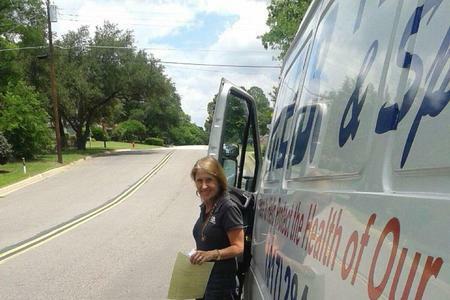 Our company is owned by the only female Master Plumber in the Dallas/Ft. Worth area. She has undergone many years of training, passed numerous certification exams, and helped thousands of homeowners with all types of plumbing problems, including many outdoor plumbing problems. Call HEB Plumbing & Sprinkler to schedule an appointment with our experienced plumbers.